Do you have a favourite book that features an adorable child as a secondary character? Or maybe it's a precocious pre-schooler? Loveliness aside - the children in your romance story should not be the focus of the story. 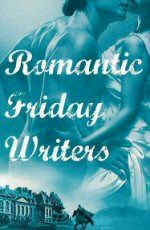 They are only secondary characters and should not detract from the main story - the romance! How about using them to further the romance? Having the H and h co-parent, or fight over one? What do you think of children in a romance story? My favourite one is from a historical romance by Julie Garwood, The Secret. This story is my all-time favourite and in this story, it starts with two little girls and how they meet. Both connect over a bee and one of the girls attempt to save the other from the bee. The language is so wonderful and totally childlike! I really recommend you read it! But aside from the children at the beginning, one of them is the heroine of the story - obviously older! So in this case, children as the main character really works. In another, yes another Julie Garwood fav, Ransom, the main character Gillian saves a little boy. This further's her character. The child is the secondary character and his role is to show the main characters strengths, and quite possibly their weaknesses. Mills and Boon have a great post on children in romance. Check it out, but don't forget to let me know what you think of children in romance novels and the roles they play. Do you have children in your own story?